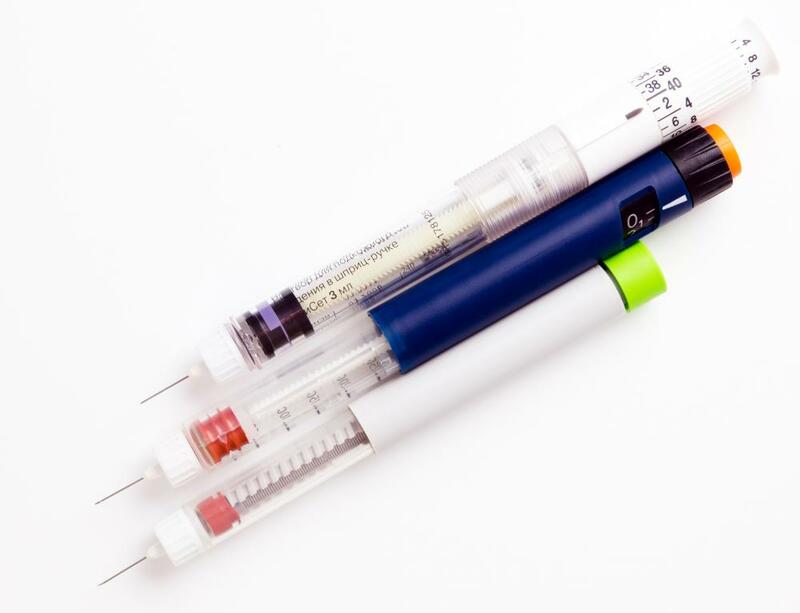 Insulin is one medication used to lower potassium levels in the bloodstream. 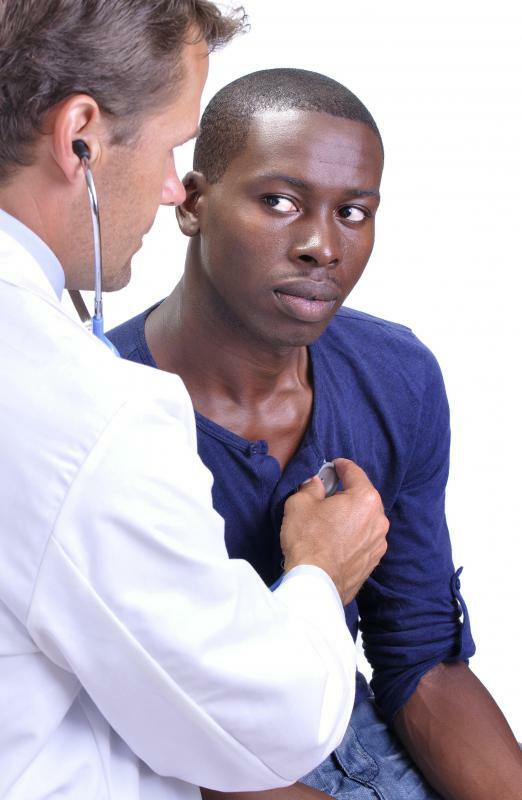 Elevated potassium levels can cause an irregular heartbeat. High potassium levels in the body may cause muscle spasms. 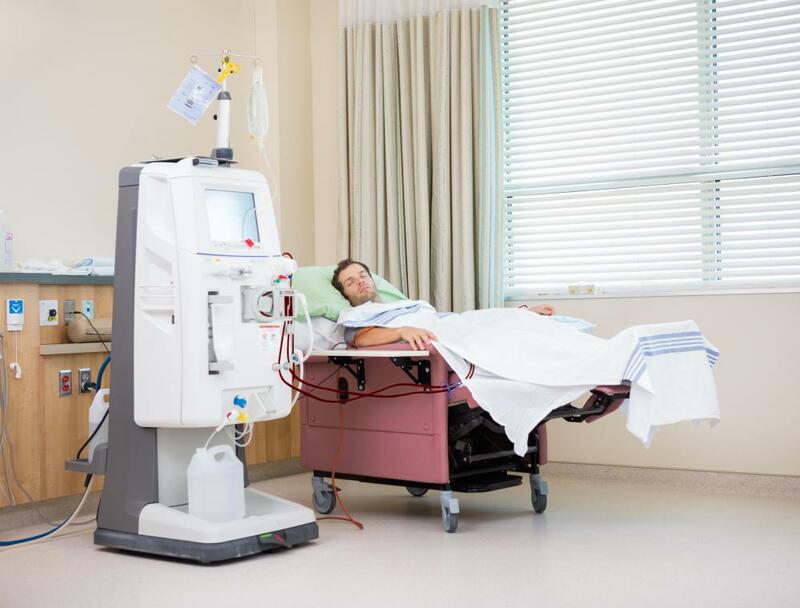 Dialysis may be used to bring down extreme potassium levels. High potassium levels can cause fatigue and nausea. Drawing blood for diagnostic purposes may lead to false high potassium readings. Elevated potassium levels primarily affect a person's heart. When potassium builds up in the bloodstream, often because the kidneys aren't properly filtering it out, people may experience weakness accompanied by an irregular heartbeat and other symptoms. This condition, called hyperkalemia, can be detected by a medical professional if a patient exhibits symptoms. Prolonged elevated levels of potassium, or extreme overdoses of it, can be life threatening. In some cases, a person whose potassium is high, but not excessively so, may not feel any symptoms. For others, symptoms may be simply unpleasant or attributed to some other cause. Tiredness and weakness, for example, might not be immediately linked as being effects of elevated potassium levels. As levels rise and the situation worsens, however, additional effects like hyperventilating may occur as the body tries to deal with the extra potassium. When a person hyperventilates, he or she breathes more and more quickly than usual. This rapid breathing causes changes to the blood chemistry, and can also cause levels of potassium in the blood to drop. The most common effects of elevated potassium levels are disruptions to the heart muscle. Potassium is an electrolyte, which is a chemical capable of conducting electricity. In the heart, this mineral helps regulate the heartbeat. Elevated levels of potassium, however, can cause heart palpitations and irregularities, and lead to a disrupted heartbeat called arrhythmia. Arrhythmia must be corrected as soon as possible, as it puts the patient at risk for sudden death. Very high levels of potassium can even cause the heart to stop. As potassium helps with the transfer of electric impulses through the nerves, elevated levels can affect the nervous system, causing it to send inaccurate signals. This can cause a range of neurological systems, including muscle weakness and paralysis. Often, one of the first signs of elevated potassium is difficulty moving the digits or limbs as nerve signals are not transmitted correctly. One common reason that an individual may have elevated potassium levels is a dysfunction of the kidneys. Usually, people keep very consistent levels of potassium thanks to the filtering action of the kidneys, and so anything that impedes this, like lupus or kidney stones, can result in elevated potassium levels. Conditions of the adrenal glands, such as Addison's disease, can also cause the condition. Acidosis caused by diabetes can raise the concentration of potassium in the blood, as can severe tissue damage resulting from burns, some other type of trauma, or any medical condition that destroys tissue cells. It is often difficult to obtain accurate measurements of blood potassium levels as the sample can be "hemolyzed," where the pressure of drawing blood into a vial or syringe breaks open the walls of red blood cells. When this happens, the concentrated amounts of potassium found in the cells leaks into the plasma, giving false high potassium readings. For this reason, healthcare professionals will often request further evaluation using an electrocardiograph, or an ultrasound of the kidneys, before finalizing a diagnosis of hyperkalemia. In the short term, severely elevated potassium levels are brought under control using one of several medications, such as insulin, sodium bicarbonate, or diuretics. Dialysis may be used if the kidneys are not working correctly. For the long term, patients must eliminate the use of potassium supplements, change any medications that might be exacerbating the problem, and adhere to dietary restrictions. Then, a healthcare professional will investigate and treat the underlying cause, depending upon what that is. Is It Safe to Combine Lisinopril and Potassium? What Are the Properties of Potassium? What are the Signs of a Potassium Overdose? What is IV Potassium Therapy? I have a partial kidney, and my last reading was 5.4 . Is that all right? For the individual concerned about "5.4 slight Hemolysis Present MMOL/L." The sight hemolysis means that some of the blood cells in you sample broke. This can cause a false elevation in potassium. Yu are only 0.1 elevated so not critical and due to the hemolysis likely not actually elevated. Technically, one is not even supposed to use a tourniquet when drawing a potassium level. Anyone with a critical high should have been called for immediate intervention; high potassium can cause your heart to stop! I do have these symptoms and sometimes I feel going to bed for at least a couple of days without any food -- just a drink of water. I feel tired all the time also, but am not exactly sleeping but feel like I'm in a trance of some kind. Can someone please explain what exactly is the matter with me? Slight hemolysis present. My first thought was that hemo means blood. That I do know. results: 5.4 slight Hemolysis Present MMOL/L. I was concerned, it was after hours, and the PCP wouldn't be back until Monday. I googled "slight hemolysis" and read several topics on slight hemolysis on different sites, and came across this site. the rubber ball even., as instructed by the phlebotomist. I first thought it was odd to hold the ball during the draw, but I didn't question it; I just went along. I think holding the ball helped me through the pain which she put me through with all the prodding and probing. It was as if she was drilling or boring for gold. I was left with a reminder: a bruised arm with a raised bump. I have had phlebotomists who could take my blood and I'd barely feel the needle stick, and then there are those who make you wonder how did they get this job. If they could only have what they do to the public done to them, then they would truly understand the pain and agony. I will tell them I will not clench my fist from now on. My K level is 5.3 on repeated count. I have high level of alkaline phosphatase. Urea is within permissible range but creatinine is a little higher at 1.54? What do these indicators suggest when the USG shows normal kidneys? My mother is suffering with leg pains! We went for a test and the chemist said that her potassium levels are reduced to the 2.8 level. She used some steroids as she has suffered from this before, and the chemist said that steroid (omnacortil 40mg+40mg) has led to the reduction in potassium, so friends, take care while using steroids! I have addison's disease and my doctor has prescribed potassium supplements. The info that came with the supplements, however, clearly states that potassium should not be taken by people with addison's disease. Is my doctor crazy? I work as a lab tech. one result on potasum is 9.5 mmol/l from known renal failure. Is this possible, and urea 99mg/dl and creatinine 10.2? if serum potassium is high, what is the best medicine to reduce potassium level? Are diuretics the best? Bless all the people who stated "Don't clench your fist." My potassium levels ranged from 5.8 to 6.1. I knew something was wrong as all the other numbers were in line. I read and read for 3 months. No help. I looked "Fist clench potassium" which was recommended by an Anon, found an article and I hoped this article was my hope. I then had blood drawn, no tourniquet, no clenching of the fist and BAM, potassium was 4.5. Thank you for saving me from the neurology center. I had the same a high potassium level of 5.8, took a while to be tested and been collected from the doctor's surgery, so I did a repeat test at the hospital and bam, 4.3, so don't worry; just retest. This should greatly ease the mind of some of you. I moved to a new state and over the course of a year I had to see my new Doctor several times for upper respiratory tract symptoms and a check up which segued into many follow on appointments. Recently, I started an exercise program and requested a baseline ECG/Blood work. The Doc comes back and says my K is 5.4 with normal kidney function. Depending on the person, this is high normal to high. After doing much research, I realized I didn't like the number. I tested one day later at 5.2 at a different location. Kidney function normal. of anxiety and panic and the thought of a heart attack or cardiac arrest was too much to bear. I began to doubt the docs about my kidney function, I became obsessive about knowing why my levels were this high when in January of 2010 I had a K of 4.3. So, I read about pseudohyperkalemia and stagnant blood testing. I thought, once maybe but not twice and at two different locations. Well people, here comes the good news. I found an article on pseudohyperkalemia and fist clenching. Yes, you read it right. There is significant data on the effects of clinching your fist when having your blood drawn and "serious overestimation" of K numbers, especially when your kidney numbers are normal. I had my blood drawn again 2 days after my 5.2 test, totally relaxed my arm, no fish clenching and Bam! 4.3! Granted, the 5.4 and 5.2 tests I ate bananas those days, but the bigger common denominator was I fist clenched hard on both the 5.4 and 5.2 tests. If your kidney function is normal, I highly recommend you get retested even if multiple tests read high. Besides fist clinching, latent blood analysis, needle size and a plethora of other factors can skew your numbers. Furthermore, the 4.3 number was taken at an ER in Boston, MA who immediately submits drawn blood for labs without latency. Go to the damn ER, don't fist clench even if told to, relax and I'm betting many people will be shocked. Fist clinching can make your life hell from worry and ensue a turn of unnecessary medical events that could kill you when you're totally healthy. G-d bless you all! Look up high potassium and fist clinching. I asked my mother's doctor if my mother could be admitted to hospital and be assessed. Over the past 2/3 weeks she was very unwell. Sleeping a lot, not eating and also unable to walk but a few steps, her legs seemed to be very weak, to the point when she stood up to walk, she was all bent over. On arriving into hospital they found that her potassium was quite high, 8.2, normal rate is 4.5 -5.4 I believe. Can hospital do tests to see if someone is taking water tablets? my sister in-law was diagnosed with high potassium levels. she also suffers from depression and i think she might be bipolar. Is there any relation? if so, will leveling the potassium help with her depression? my son was diagnosed with Grave's disease 4 years ago. One year ago he was diagnosed with juvenile glaucoma. Eight weeks ago a new diagnosis: polymyositis. He has had hyperkalemia for two months running and his doctors are concerned and diligently searching for the reason. He has an arrhythmia already. At this point he is on steroids and physical therapy. His K levels remain high even after drinking kayexalate daily. I am at my wits end and worried to death about him. What in the world is going on? My daughter is 6 years old and has a nerves problem that means her entire body will become idle and she will not able to walk or get up for some minutes or some hours. Then we went to the doctor. he ran many tests and finally judged that her potassium is more than actually required and he gave some pills to take every day to reduce the potassium. If she takes the tablets daily that problem will not come, but if she fails to take the pills, that problem will recur. Actually her Mother and grandmother had this problem, also. Is there any permanent solution for this hereditary nerve problem? thanks in advance. i have been having lots of leg pain for five days. can it be high potassium levels can that be the cause of the leg pain? I had a triple bypass in June last year and have been fine. About four months ago i got what felt like pins and needles in my left arm and little finger, went to hospital and nothing found, still suffer from it now. Had a blood test last week and was found to have a high level of potassium, could this be the cause? This is a response to post #20 about someone's 17 year old son. All of those symptoms do not sound like potassium is the root cause, but one thing off the top of my head that could cause all of those symptoms is anabolic steroid use. Most A.S. spare potassium, causing a build-up in the system and if your son is athletic in any way and has these symptoms, you may follow up on the possibility. A.S. are easily available even in school environments. Another possibility is normal teen emotions mixed with drinking too much sports drinks that are very high in potassium. In this case, drink more water. My daughter is two months Old and her potassium has been tested for four weeks once a week. it has ranged from 5.3 to 7.0. each time she is being sent to a kidney specialist. however that's a month away. How dangerous is this and what could be the cause? My doctor told me high levels of potassium could kill me. This web page says that, 'Dietary supplements. cannot be toxic by themselves.' Could you please explain this further? My husband is an end stage renal patient, and recently his potassium levels are 7.6. Is this an indication that he is not dialyzing properly? He also has irregular heartbeat and get mild paralysis. What can he do to lower his potassium? I read a lot of comments here about high potassium levels. Can this be a symptom for having a pain in my left shoulder or muscle spasm and cramp in my legs? my friend has had a blood test and she has high potassium levels in her blood. she had a heart attack a few years ago and wondered how she can get the potassium level down. also, could it be a side effect from ramipril blood pressure tabs? I intended to take cystapurin for cystitis, but on reading the leaflet realized it must not be used in conjunction with lisinopril which I take for high blood pressure Is there any over the counter alternative (UK). Would it really make any significant difference? My husband was recently hospitalized for 8.2 level of potassium, will it be a recurring problem. He had kidney failure, surgery on his heart two weeks prior. Can the potassium level in your body be raised to a dangerous level by using products such as "Lo Salt" which consist of a mixture of 13.1 percent Na and 34.6 percent K.
Why would my doctor even prescribe potassium if it is that dangerous? I am diabetic and she was aware of my leg cramps. They have now discovered the potassium is high. How long will it take until I see the results when I stop taking the potassium pills? What could cause my grandson, who is 19 years old, blood test come back with high liver and high potassium? my husband is new to hemodialysis and we want to know what is the danger of missing one of his dialysis sessions to enable him to visit his son. How quickly can potassium levels rise? Moderator's reply: Talk to the dialysis nurse. Very often, dialysis can be arranged at a clinic out of town -- in this case, in your son's town. Your husband's clinic can make all the arrangements. my 72 year old spouse has very high potassium and they took a lot of good foods away from him. i want to know if there are foods that will bring it down? can the potassium level vary its results in an hour? how fast? how is it affected? say patient is in intensive care unit, patient was admitted hyperkalemic with level of 9.0 mg/dl. can it go lower in a matter of one hour or a few hours or can it normalize in a matter of an hour? and may go up again? I have been stopped taking water tablets before because of high potassium. I am now on Ramipril for High Blood pressure and have begun since an accident in 2006 attacks of rigidity. Can this also be caused by high potassium? I just had a blood test also showing my potassium level was high and also my glucose level. Is there any connection? my blood work came back with elevated potassium levels and I have no symptoms of anything, I am dieting to bring my weight down, is there anything else I can do? My mother suffers from high potassium and is being treated for it. I heard one of the side effects of high potassium is muscle spasms. I've recently had several severe muscle spasms in my groin that almost made me faint, the pain was so bad. I had eaten blueberries before going to bed each time. Is it possible that my diet of fruit and vegetables is increasing my potassium level enough to cause this sort of severe cramps? I often get them in my calf and thigh for no reason. The groin cramps are certainly the worst. I am 54, female, well into menopause. I forgot to mention that the emergency room neglected to do blood work. The lady died a day later. Yes it can spike your blood pressure up. High potassium level is just as dangerous as low potassium level. There is a lady that was 34 years of age and she went to the emergency room. She died one day later because of elevated potassium. She had acute renal failure caused from abnormal potassium. Anesthetic can affect your potassium levels. 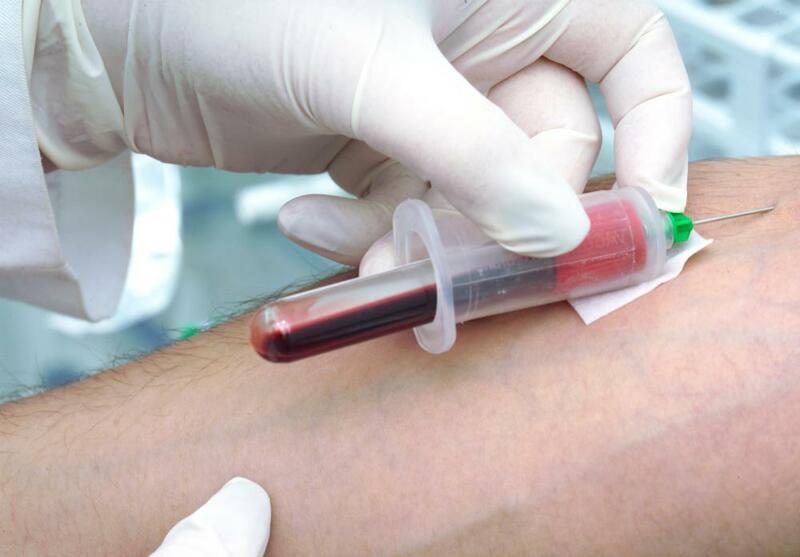 Your blood test may be accurate. I would not wait a couple of weeks to see. You need to go immediately and have blood work done as soon as possible. "Do not wait"
I had an operation 2 weeks ago (bladder sling, prolapse surgery). I went in to my regular doctor for my 6 month blood test for cholesterol. I got a call from the dr's office saying that my potassium level was high and to come back in for another blood test, that the reading may not have been accurate. Would the surgery, i.e., anesthetic, medications, etc, affect the reading? Should I wait a couple of more weeks before another blood test? How can I lower my high potassium level? Can high potassium levels cause your blood pressure to spike?